Last week was the fifty year anniversary of the launching of Telstar 1, the first communications satellite. 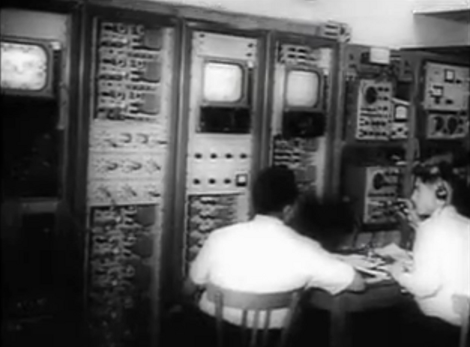 Take a look back at the marvel of the early technology as shown in this newsreel footage about the first broadcast. The first formal use was a speech by President Kennedy allowing most of Europe to “witness democracy at work”. You’ve got to love that cold war era propaganda. In addition to this electronics-filled marvel there were other experiments going on at the time that used passive devices as satellites. Project Echo sought to put reflective balloons at an altitude where they could be used to bounce signals around the curvature of the earth. This came almost exactly two years before the advent of Telstar 1. There was a lot of media coverage of this anniversary, but the most interesting for us was an NPR interview with [Walter Brown], one of the engineers who helped build the device. Apparently nuclear weapons testing in space the day before the launch caused the initial tests to fail. Seems that an “Echo” balloon would be ideal for the first amateur satellite, people could send messages with the same technique Hams use for “Moon Bounce” ( http://en.wikipedia.org/wiki/EME_(communications) ), yesterdays government tech is always tomorrows amateur tech. You may want to put the retrotechtacular tag on this post; its currently missing!